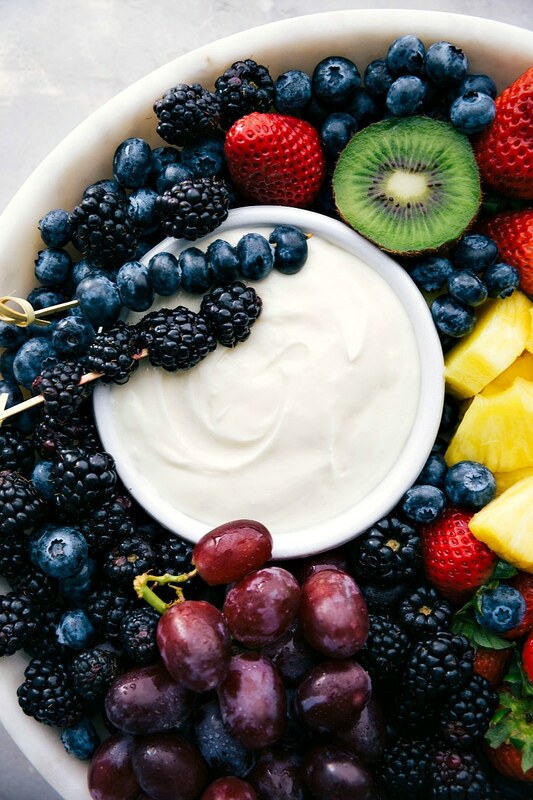 Only FOUR ingredients to make this creamy, dreamy fruit dip! This dip is smooth, tangy, sweet, and the perfect accompaniment for fresh fruit! 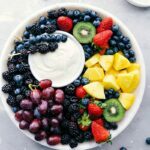 We love this dip when entertaining or when we’re looking for a fun and slightly healthier (because fruit) treat. Some of our other favorite dessert dips include this chocolate fruit dip or this chocolate fondue! With only FOUR ingredients and a few minutes to whip this dip together, you can’t go wrong! So, what exactly is it made of? 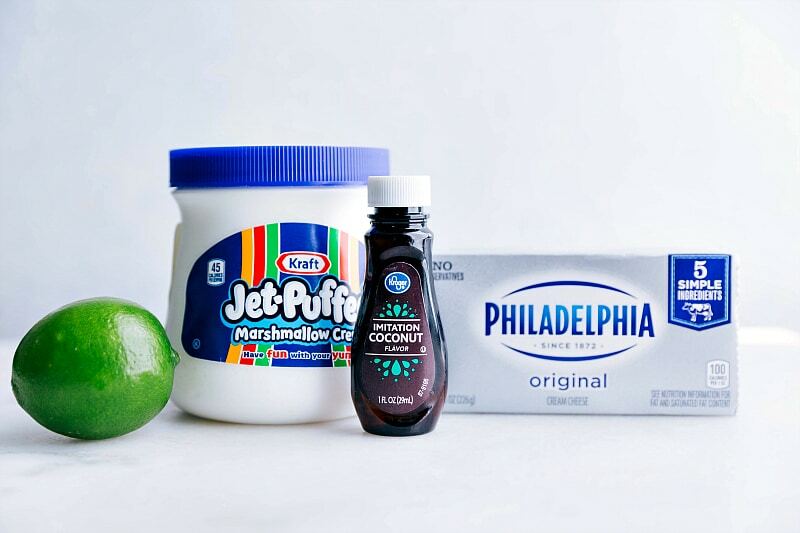 Cream cheese: use full fat and a high quality brands for best results. We love philadelphia brand (not sponsored). Marshmallow fluff: again, best quality brand delivers the best results. We love Kraft jet-puffed (not sponsored). Lime juice: just a tiny bit to help with the smoothness of the dip and give a nice touch of flavor. And now that we’ve talked a little bit about ingredients, let’s talk process. Spoiler alert: it’s easy! 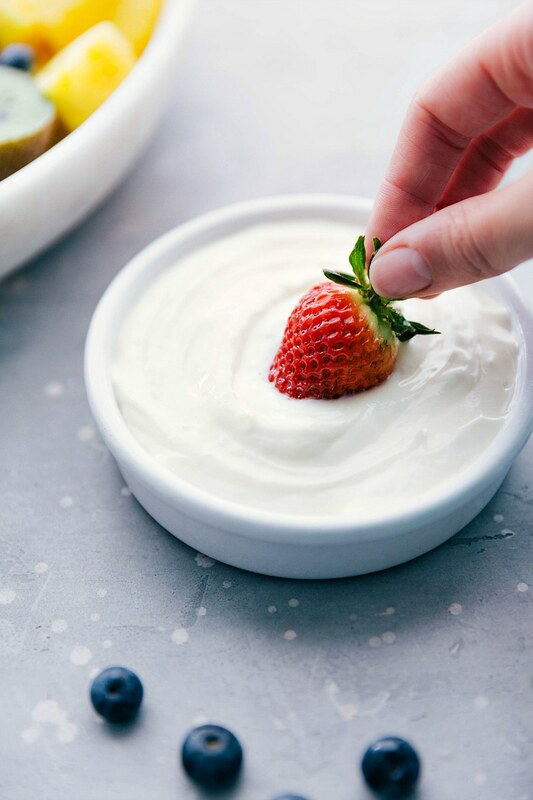 Start by softening the cream cheese: this is crucial to your fruit dip! Softened cream cheese is easier to work with, blends better, and will avoid unpleasant lumps which occur when the cream cheese is too cold. With the softened cream cheese, you can now beat it in a large bowl until completely smooth (and bump free). Add in the marshmallow fluff. Pro tip: run your spoon under hot water, dry, and scoop out the fluff. It will come out much easier this way! Beat that fluff and cream cheese together and add the flavorings: some lime juice and coconut extract. Use full fat products to ensure a thick (not watery) dip. Chocolate fruit dip: check out this recipe! This dip will last up to 7 days, covered tightly in the fridge. If it starts to separate, just give it a quick stir to incorporate all the ingredients. Can fruit dip be made ahead? Yes! Prepare this dip whenever you have an extra minute and store it in the fridge covered, for up to 1 week. If you are making it ahead of time, don’t add the lime juice until before serving. Can fruit dip be frozen? Yes! You can freeze this dip in a freezer-safe container for up to 1 month and thaw it overnight in the fridge. Whisk together to re-incorporate all the ingredients. While this does freeze great, I don’t think it’s as good as when it’s first made fresh. SOFTEN CREAM CHEESE: Remove the cardboard box and inner foil wrapper from the block of cream cheese. Place in a microwave safe bowl or plate and microwave for 15 seconds. Flip the block of cream cheese over and microwave for another 10-15 seconds or until softened. Time will vary depending on your microwave; just remember you want it softened not melted. Place softened cream cheese in a large bowl and beat with hand mixers until smooth and no bumps remain. Use a HOT spoon (run a spoon under hot water, dry it off) to pull out the marshmallow fluff. Add fluff to the bowl alongside the lime juice and coconut extract. Beat until smooth and creamy. Place in the fridge, covered, until thoroughly chilled through (I like to give it about 60 minutes). Serve with your favorite fruit(s) or other snacks to dip in (see blog post). 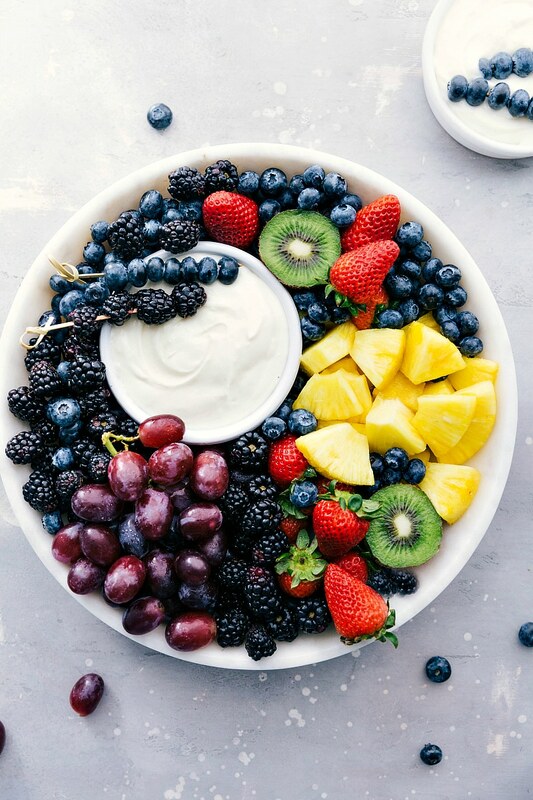 For fruit, make sure it is 100% dry before serving it with the dip otherwise the dip slides right off! 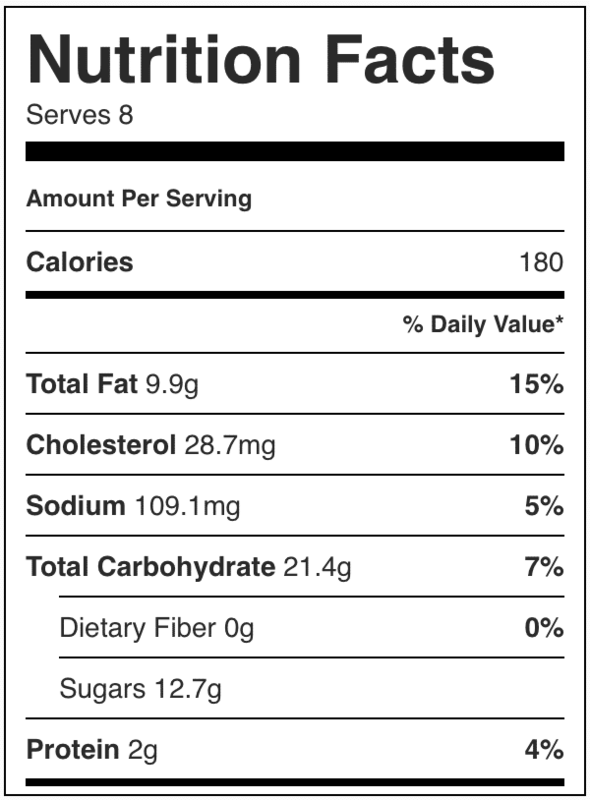 Note 1: feel free to increase the amount of coconut extract to personal preference. The flavors do intensify as they sit. You can also use a different extract such as orange or lemon extract.